The unintentional theme lately has been under-utilized native plants and their cultivars, so let's continue that shall we? Swamp Fly Honeysuckle, Lonicera oblongifolia, is a boreal species found in the US and Canada. Its range is limited to the northern tier of states from Minnesota east to Maine and Saskatchewan through Quebec. You can find it growing natural in wet wooded edges along swamps, marshes, and streams. Generally growing 3-4' tall and wide, L. oblongifolia makes a great shrub for light shade or partial sun. Despite its preference for wet habitats, it does quite well in average garden conditions as long as clay soils are avoided and has a moderate growth rate. Creamy white to pale yellow flowers are slightly fragrant and borne in pairs typically in June. 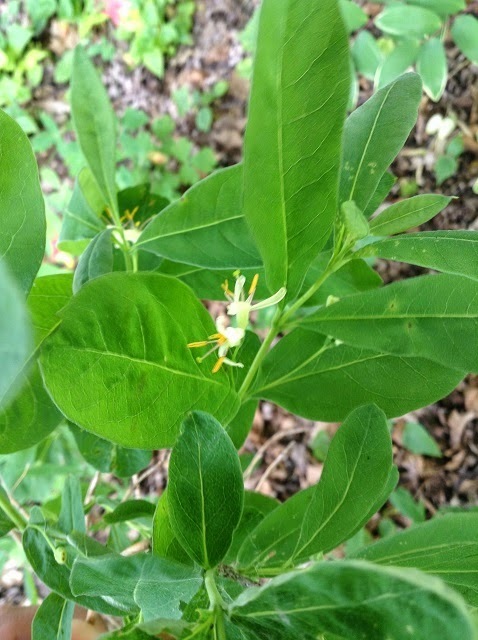 These flowers are then followed by orange to red berries in July and August. Like other species of Lonicera, the flowers are attractive to bees, butterflies, and hummingbirds and the berries are loved by birds. Leaves are blue-green and slightly hairy. They will develop some yellow fall color, while it isn't spectacular it is fairly nice. While certainly not as showy as a Hydrangea or some of the non-native honeysuckle species, Lonicera oblongifolia deserves wider garden use. It's great as a background or filler plant and works well in slightly shaded wet sites. It has high wildlife value and is rather uncommon throughout its range. Give it a try! Goldenrods don't get a whole lot of love. They're blamed for hay fever, when the real culprit is ragweed. Most people don't separate the good ones from the bad ones, thinking they're all weeds. Those people are sadly missing out on some great garden plants. 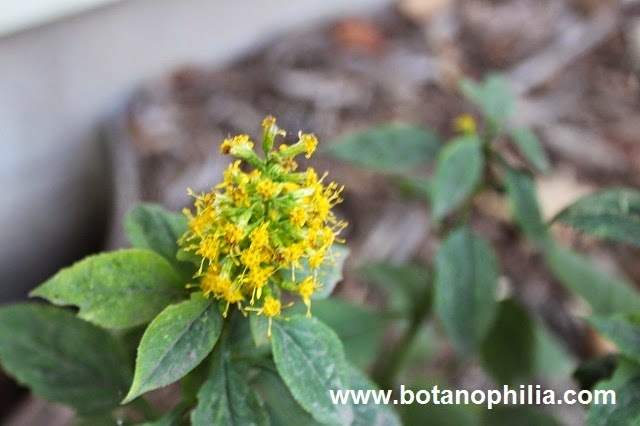 Even among the good garden performers, Solidago flexicaulis doesn't get much attention. It's not popular and is rarely offered by nurseries. This is a woodland dwelling species and native to more than half of the US, from Nova Scotia to North Dakota south to Georgia and Arkansas and East. In the trade it is represented by only one cultivar, 'Variegata', which has broad (for a goldenrod) foliage irregularly splashed with gold. All other attributes are identical to the species. Being a woodland species, S. flexicaulis 'Variegata' prefers organic rich soils that are consistently moist. It can take some wetness in springtime, but prefers well drained soils. Morning or evening sun is best for the variegation to remain bright, but it grows in full bright shade just fine. It is also fairly drought tolerant once established. It does fine in my shade garden, which is on the dry side. A rooted solid yellow shoot. In spring the foliage emerges with bright yellow splashes of color, sometimes entire leaves may be entirely yellow or green. Variegation does not appear to be consistent from year to year and I've never had entire sections stay yellow or green. Even if rooting cuttings from solid yellow stems they are variegated the next season, much to my dismay! The upside of this is that the solid green sections also are variegated the next season, I've never had this plant fully revert to green and stay that way. This is a fairly well behaved species, it is slightly rhizomatous, but does not spread quickly or get out of hand. Expect clumps to be 4-5' wide in 10 years. Stems can reach 3-4' in height, this makes it a good addition to the mid or back of the shade border. 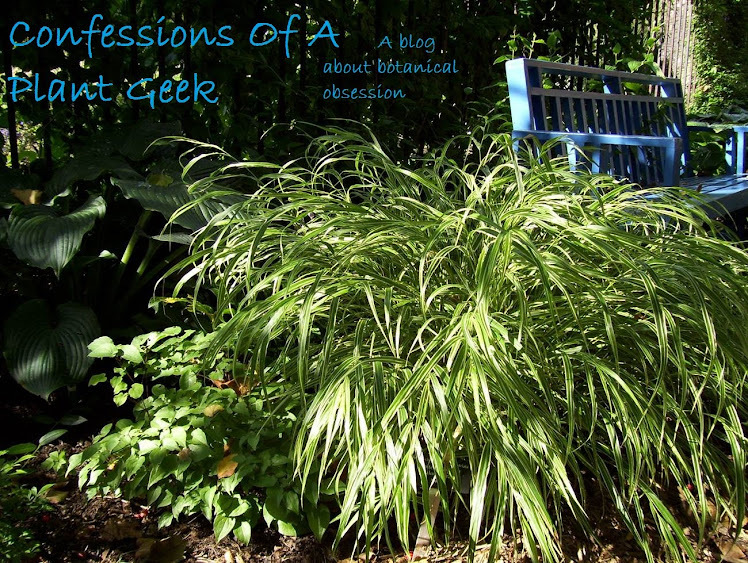 It couples well with green or blue hostas, larger ferns, grasses, and coral bells. In fall flowers are formed in the upper leaf axils to the terminal bud. Some gardeners have called them insignificant, and I strongly disagree. I find them quite attractive and a welcome addition to the fall garden. If you're looking for some height, color, and fall blooms for the shade garden then look no further. Give this great plant a chance, it might surprise you. Just remember that it will eventually take up some space.